In western European countries like Denmark, we are perhaps a little guilty of taking our human rights for granted and not really knowing that much about them. For example, when a Nestle board member suggested that access to drinking water shouldn’t necessarily be a human right – a claim that was apparently taken out of context – how many of us found ourselves scrambling for a handbook of sorts via Google? Eventually you would have stumbled across the United Nations’ Universal Declaration of Human Rights, a list of stipulations formulated 69 years ago, and on December 10 and 11, several Copenhagen-based NGOs will once again be holding events to promote them. VerdensKulturCentret in Nordvest will be the venue for ‘Spiritual Human Rights – An Ongoing Battle’, an English-language event co-organised by Soteria International and Unge for Menneskerettigheder (Youth for Human Rights), which will include speeches and a Q&A panel discussion. Among the speakers are: Gregory Christensen, the head of Youth for Human Rights Denmark, Nobuhiro Igarashi, the chair of Universal Peace Federation Denmark, and Konrad Swenninger from Soteria International. While acting as host will be Bashy Quraishy, the editor-in-chief of MediaWatch. 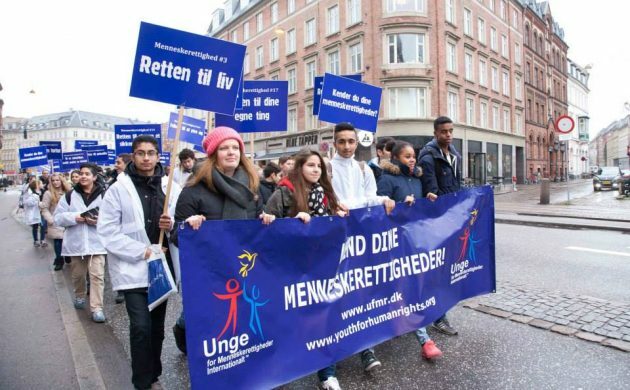 For ten years now, the two NGOs have been spreading the word about human rights in Denmark via events, marches, educational materials and creative activities. According to the event’s Facebook page, it is a call “to be the guardian of the fundamental rights of people around us no matter their religion and culture, and never to let fear and ignorance be the measure of our hearts and freedom of conscience”. The proceedings start at 18:00 at VerdensKulturCentret (Nørre Alle 7, Cph NV) and are expected to last three hours. But in case you can’t make that, you might be interested in an English-language event on Saturday being organised by United for Human Rights together with European Network Against Racism, which will primarily consider human rights and religious persecution – with particular regard to the situation in Hungary. Among the speakers at the event at Nytorv 11 at 15:00 are Bashy Quraishy, Tim Jensen, an associate professor of religious history, and Mujahed Abassi from the Center for Danish-Muslim Relations. And then on December 11, a Youth for Human Rights march with local school children will take to the streets of Nørrebro to spread the word further, so remember to give them your support if you see them!